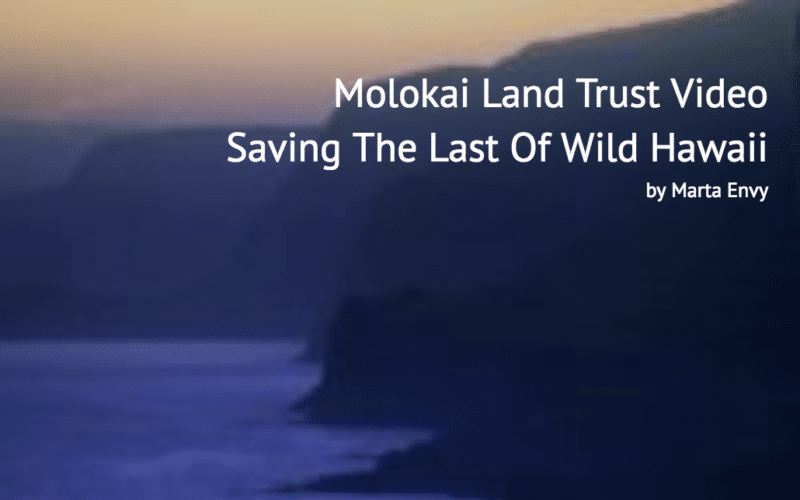 Molokai Land Trust – Molokai, Hawaii – The Moloka'i Land Trust shares a long-term vision of the future for Moloka'i, its environment, spirit, culture and people. The mission of the Moloka’i Land Trust is to protect and restore the land, natural and cultural resources of Moloka’i, and to perpetuate the unique Native Hawaiian traditions and character of the islands for the benefit of the future generations of all Moloka’i, particularly Native Hawaiians. Moloka’i Nui A Hina: reverence and love for Moloka’i’s people and the land. Moloka’i Aina Momona: promotion and practicing of sustainable land use practices. Moloka’i No Ka Heke: remaining true to core Hawaiian values while embracing new technologies and ideas. This 1,718 acre parcel was donated to the Moloka’i Land Trust from Molokai Properties Limited (aka Molokai Ranch). The first fee owned parcel of Moloka`i Land Trust comprising 196.4 acres, Kawaikapu contains a perennial stream and remnant native forest cover on its upper reaches. 58,000+ Native plants have been planted to date on our MLT Preserves. Thanks to our grants, our volunteers, staff, supporters and all the student help.